Comic book movies are everywhere nowadays, but the only companies you really see flooding the market are Marvel and DC. There’s so many more companies with so many more stories to tell, so I always welcome a world that I’ve never had the pleasure of traveling to before. In 1967, the comic series Valérian and Laureline was created by Pierre Christin and Jean-Claude Mézières and ran until as late as 2010. This series tell the story of special spacial-temporal agent Valérian and his partner Laureline as the travel time and space protecting the universe. There’s so much material to work with and with someone like Luc Besson in the director’s chair, I was all for this. 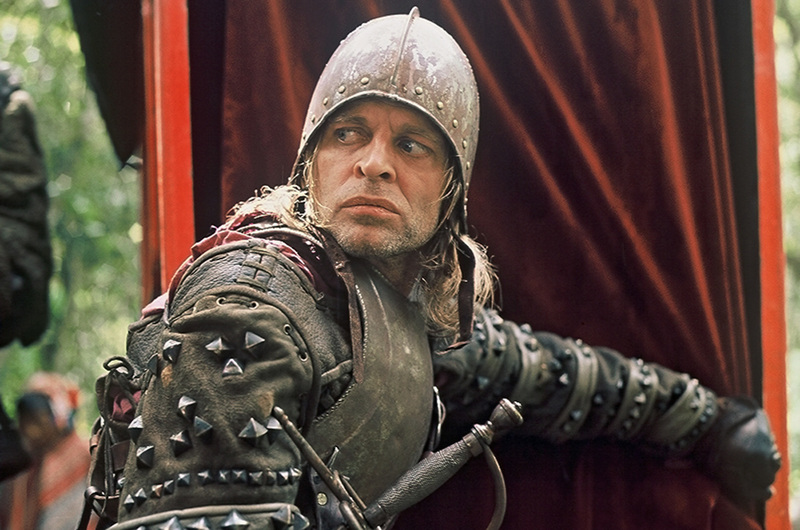 Besson’s work has been known to be hit or miss, and this one is a slight miss for me. He was on the right track with something that could’ve been a modern day space epic, but got way too distracted somewhere down the line. 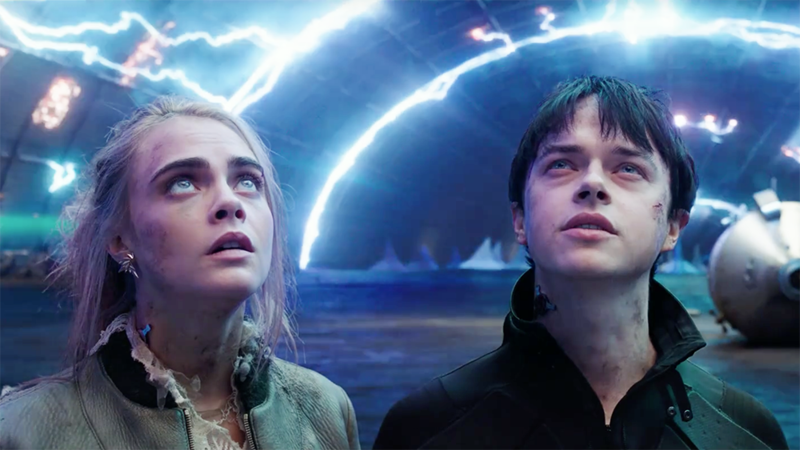 After being awoken from a dream where a planet and its inhabitants are destroyed, Special Agent Valerian (Dane DeHaan) along with his partner Laureline (Cara Delevingne) are assigned to infiltrate a black market ring and extract an object called a converter. After completing the mission and being nearly killed in the process, the duo return to Alpha, a giant space station that is the home to millions of people from many planets, hence the nickname of the City of a Thousand Planets. The agents are informed by Commander Filitt (Clive Owen) that there is an infection spreading on the space station which is a major concern to all the races that live on the space station and that this converter may be the key to stopping it. During a meeting with the representatives of the station, Filitt is attacked and kidnapped by the same people that Valerian dreamed about. 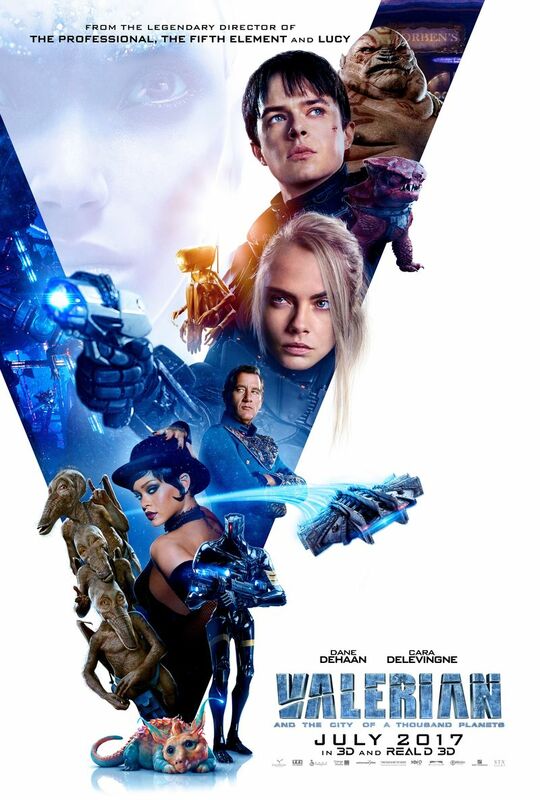 With the converter and their Commander missing, Valerian and Laureline have to travel into unknown territory on the space station, avoid the seediest of characters with ulterior motives for the agents, and uncover a major conspiracy that could potentially destroy Earth’s relationship with the other planets. The first 40 to 45 minutes of Valerian and the City of a Thousand Planets had me hooked. I was loving the visuals and the world that was created for this movie. It was definitely a film to see in 3D, and I found myself easily getting lost in the environment. 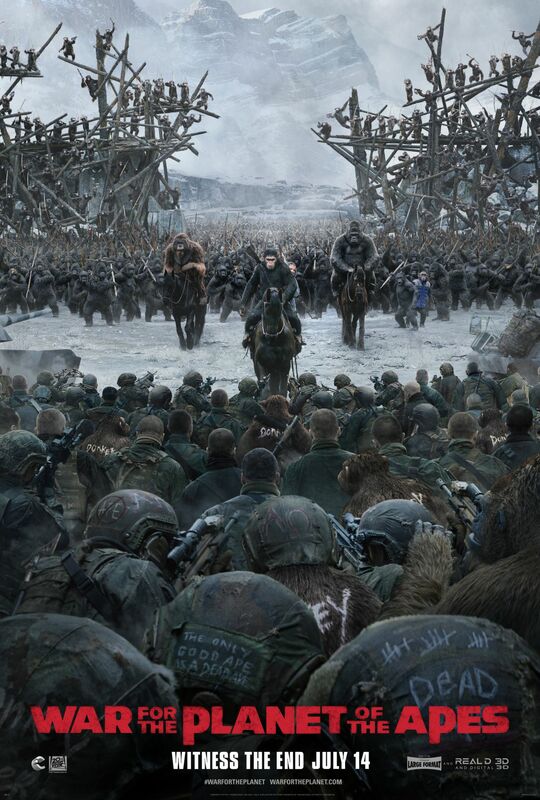 This is a stunningly beautiful movie with some of the best special effects you’ll see all year. 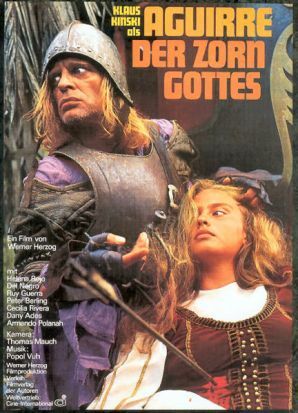 There was a real sense of swashbuckling adventure that can easily serve as a reminder as to why I love action adventure movies, especially in heavy science fiction universes like this one. I was really prepped for a rollicking time at the movies with this, but we weren’t even an hour into this movie’s bloated 2 hour and 17 minute run time. Once we get to Alpha, things start going sour and that heavy feeling of disappointment began weighing down on my chest. Let’s rewind a little bit here. While the first hour or so of this movie is solid action and adventure, I do have to talk about Dane DeHaan as Valerian. There’s something about how he delivers his lines that’s a weird combination of overdone and totally dry. It’s like he’s enthusiastically underperforming at every chance he gets. It was an awkward performance, and while he did fine at the more action oriented work, his lines with Delevingne were just awkward. Part of this may be because they had very little chemistry and the writing was just plain weird and on the nose. Cara Delevingne is a lot more tolerable than DeHaan, and her scenes provide some of the funnier and more memorable parts in the movie. There are a couple memorable performances by Ethan Hawke and Rihanna, but they are completely pushed to the wayside and forgotten about as soon as their minimal usage is complete. It’s unfortunate that some of the best characters get so easily forgotten about. I’d like to say something about Clive Owen’s performance, but it was so standard, there’s really nothing to comment on. Back to the plot and all of its shortcomings. Once Valerian and Laureline make it to Alpha, I expected the plot to thicken from there. It does start to get intriguing, but after the Commander gets kidnapped the movie devolves into a series of scenarios that don’t really have a connection with the main plot involving the converter and the aliens from Valerian’s dream. First Valerian gets lost then Lareline gets lost and then the plot gets lost and I just started losing interest. I haven’t seen a movie this distracted in a long time, but to be fair there’s a lot of really cool stuff to look at on this station it’s pretty easy to get lost. Once the plot finally refocuses I was relieved but I kind of lost interest in it at that point. It took a while to really get myself invested in what was happening after being sidetracked for so long. Valerian and the City of a Thousand Planets is ultimately categorized as a disappointment for me. 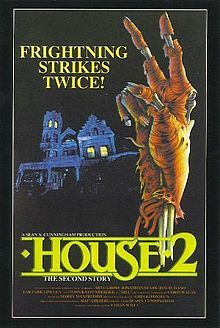 The action is a lot of fun and the special effects are fantastic. There’s nothing wrong with the world that Besson created, but there is major problems with how he tells the story and the how he wrote the characters. Dane DeHaan is pretty bad as Valerian and it was hard to get back on the main plot after aimlessly running around Alpha for so long. 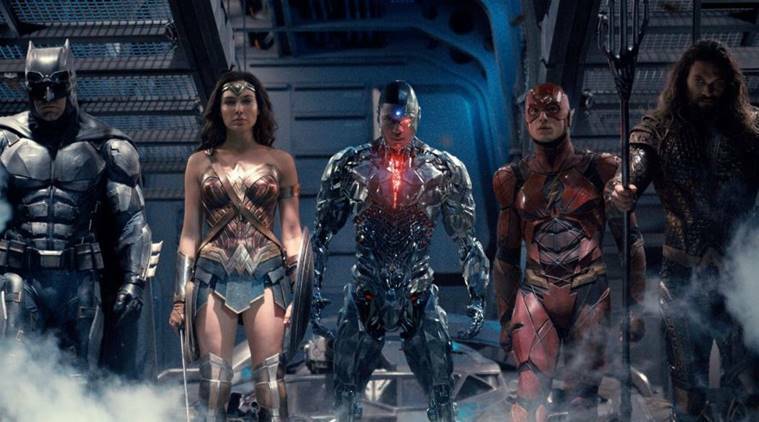 I had much higher hopes for this movie, but it’s a classic example of style over substance used poorly and storytelling that is shot out of an airlock. Bong Joon-ho has really made a name for himself as one of the most internationally acclaimed filmmakers to come out of South Korea. His films like Memories of Murder, Mother, and The Host were hits in South Korea, and Snowpiercer brought his talents to the west and into the English language. He has this excellent ability to create moments of humor out of very serious situation and his style is something all his own. His latest film, Okja, is a Netflix exclusive which also continues Netflix’s trend of creating quality entertainment. This film, while having very cute and funny moments, is a condemnation of the dealings of big business in the animal industry and shines a harsh light on the manufacturing of GMOs. 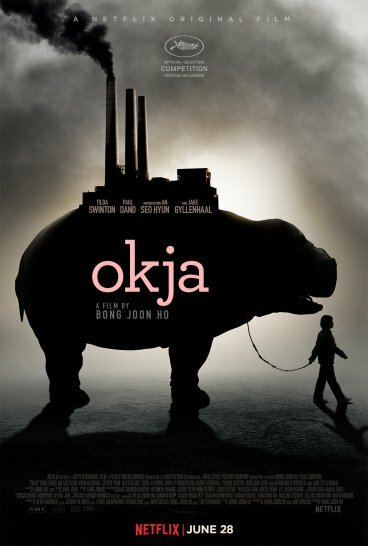 Okja is a genetically modified super pig who has been being raised in a rural South Korean village by a young girl named Mija (Ahn Seo-hyun) and her grandfather Heebong (Byun Hee-bong) for the past 10 years. Okja was first created by the Mirando corporation, run by the then new CEO Lucy Mirando (Tilda Swinton), to be the next best meat in the entire industry. Now that Okja is fully grown, Mirando sends its spokesperson, Dr. Johnny Wilcox (Jake Gyllenhaal), to get Okja and bring her back to Seoul and eventually New York City. Mija’s not about to let them take Okja away from her, so she runs off to Seoul to stop Mirando and runs into the ALF, or the Animal Liberation Front, a small group run by animal activist Jay (Paul Dano). 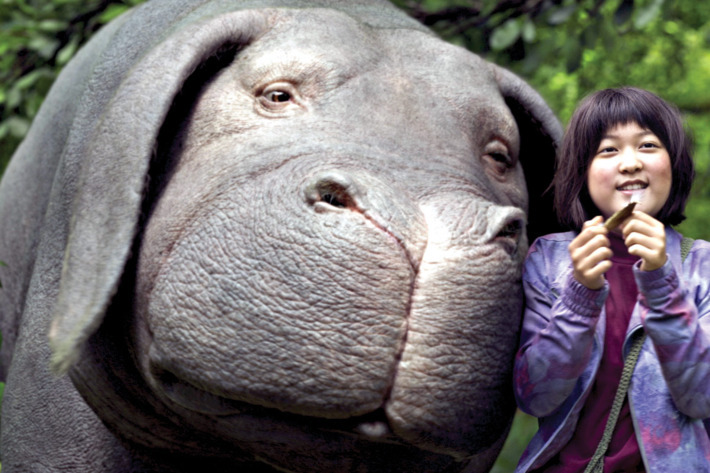 With time for Okja running out, Mija has to reluctantly team up with Jay and the ALF to expose the major wrongdoings and cruelty of Mirando and save Okja in the process. The first thing that needs to be discussed is the whole message this movie is giving. Bong Joon-ho is known for his environmentalism and his environmentally conscious films. Okja continues this tradition with an even louder voice than ever before. The first thing he tackles is GMOs and how it can be an absolutely absurd practice to genetically enhance animals and have people ok with that, even when it’s used for something more shady than health reasons. His other stance that he takes is the two faces of major companies, no matter which industry they are a part of. In this film, Lucy Mirando and Dr. Wilcox make it impossible not to like the Mirando Corporation, but once you see past the surface you know what they are really about. This is a time when companies are backed by armadas of lawyers and P.R. teams who exist just to issue cleverly worded apologies to make everything right again. While I can back these stances and I’m glad to see them presented in a movie, Okja sometimes is a bit to heavy handed with the message to the point of sounding preachy. Other scenes have that subversive wit this film maker is known for and it more than makes up for the more overly explicit moments. 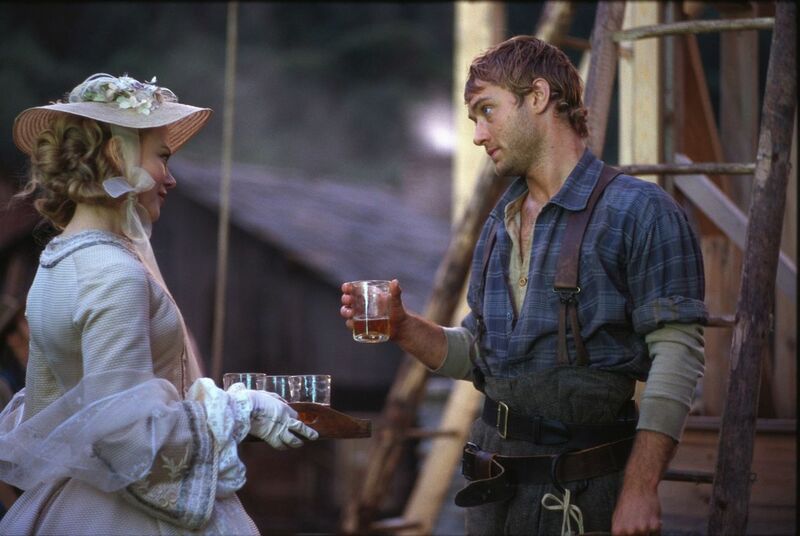 There are a few minor faults with the movie that did get a little distracting as I was watching it. Towards the end of the movie when things were really going down and the climax of the film was fast approaching, I sort of started to lose track of what the villains of the film were really up to. I feel like most of this happens because their motivations get muddled and the writing makes it so they run the gamut of evil to make them seem like the villains they truly are. They do something to Okja that is very serious and quite important, but then they go and try to do something else that completely counteracts what they originally did. It’s something of a plot hole where I feel like I could be missing something, but it just seems like intentions got muddled somewhere in the screenplay. The story is also a little slow on the uptake. A lot of time is spent introducing Mija and Okja, which is important to build the relationship, but there’s something in particular that happens in the very beginning that just seems out of place. It distracted me from where the story was heading and could be cut out of the movie all together. These are relatively minor complaints, but obvious enough that made them worth stating. I really need to take a moment to mention how excellent Ahn Seo-hyun is in this film. Her performance of Mija is really excellent and it’s rare to see an actor this young give such an honest performance. This goes along with the fact that her best friend in the movie is a CGI super pig. She does very well at acting around something that isn’t even there and I was really impressed. 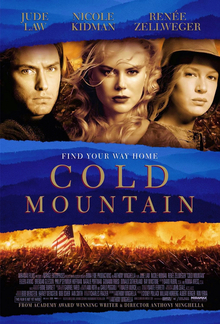 Tilda Swinton and Jake Gyllenhaal are both hilarious in this movie and Paul Dano gives the exact kind of performance you would expect Dano to give. I do want to touch on Okja herself. At times the CGI got a little bit cartoonish, but there were other times, especially in close up, when the CGI looked great. As a whole I was definitely a fan of the design of Okja. 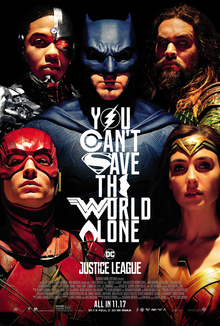 When I saw the first promotional picture released, I thought the design looked kind of stupid, but seeing it in action completely changed my mind. Speaking of visuals, it’s hard for me to remember just how well shot Bong Joon-ho’s films are since I always relate him to writing and character. The camerawork in Okja is sweeping and exciting and adds a whole new layer of entertainment to the film. Okja is certainly a welcome addition to Bong Joon-ho’s filmography and is a reminder that Netflix is really killing it with their original content. 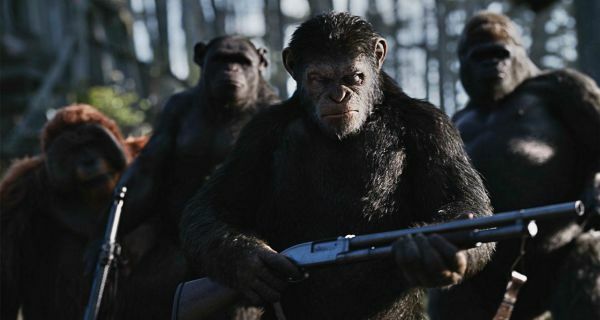 I can’t say that this film ranks up there with Bong’s earlier films like The Host but it does have a strong message, some excellent characters and actors, and a CGI super pig that is surprisingly lovable. Okja is both a strong drama and a light hearted comedy that blends to create a very entertaining film despite some minor issues with motivation and pacing. 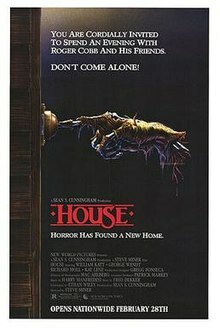 I say, if you have Netflix, this is a new addition that should definitely be seen and works well to also introduce any newcomer to Bong Joon-ho’s unique style.